Daniel Hope: Edward Elgar - "Salut d´amour"
Classic FM Album of the Week, week starting 8 February after 10am. 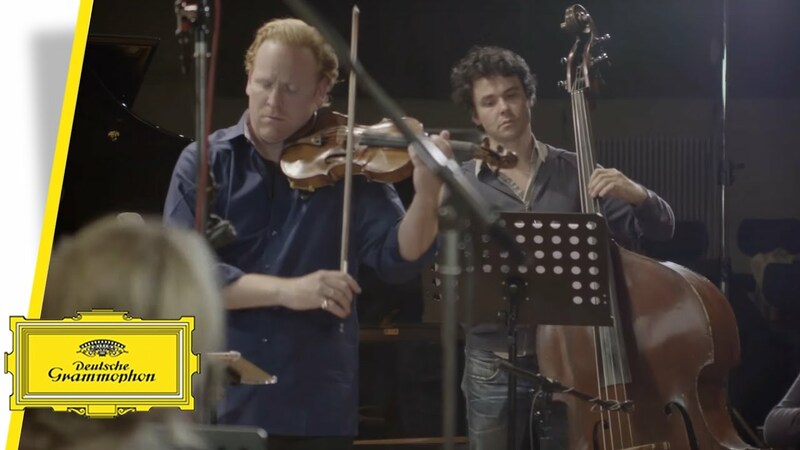 Violinist Daniel Hope marks the forthcoming centenary of the great Yehudi Menuhin by dedicating a complete album to his former mentor and close friend. After fleeing to England from the Apartheid regime in South Africa, Hope’s mother was offered a job as a secretary to Menuhin, and later became his manager. “Yehudi Menuhin is the reason I became a violinist," says Hope. "I was privileged to know Menuhin all my life – as he used to say, I fell into his lap, as a baby of two years age. Menuhin often called himself my “musical grandfather”. Now, in celebration of what would have been his centenary, my friends and I can finally pay our respects to this great man, in a way I am sure he would have loved." Many of the works on this album were commissioned by or for Menuhin, and the composers reflect the maestro's wide-ranging taste and interest in new music – from John Tavener's Song of the Angel for soprano, violin and strings, to the folk-tinged Rumänisch by the German pianist Jo Knümann. Menuhin's beloved Bartók, Ravel and Enescu are much in evidence and the album contains two full concertos – Mendelssohn's and Vivaldi's, for two violins. Hope produces a superbly confident and sonorous tone and his performances here would have made his mentor proud. Can we please just take a moment to recognise how incredible Janine Jansen sounds here?